The human-animal bond is a mutually beneficial and dynamic relationship between people and animals that is influenced by behaviors that are essential to the health and well-being of both. This includes, but is not limited to, emotional, psychological, and physical interactions of people, animals, and the environment (AVMA). Anyone who has ever had a pet knows exactly what this bond is about. As early as the 18th century, scientists and researchers were discovering the positive effects of the human animal bond on mentally ill patients, people suffering from epilepsy or neurological disorders, rehabilitation patients, etc. Recently, a study proved the positive physical effects on a person when they are petting an animal including lowered stress levels, lowered blood pressure, lowered heart and respiratory rates, and less anxiety. As a veterinarian, I witness the intensely strong bond between humans and animals every single day in every single patient from the first brand new puppy visit to the last end stage of saying goodbye visit. In fact, we do not even call them animals at my clinic; we call them pet family members. We are partners with the pet owner to provide the best possible quality care, treating each and every pet like family. Who truly benefits the most from this symbiotic relationship? Cleary, we benefit the most, or at least more than we realize. The greatest thing we can learn here in this life is to truly be able to love, be it animal or human. But what happens to your pet when you are away all day or have to leave to go out of town? Having a pet sitter in Houston who enhances your human animal bond is a wonderful gift. I have seen pets become so bonded that they actually develop anxiety disorders when separated from their owners. However, having a trusted pet sitter provide your pet with dog walking, an overnight stay, a play-session, extra love, and anything in between while you are away is something you truly cannot place enough value on. Our pets’ lives are so short in comparison to ours; why not provide them as much unconditional love as possible? After all, that is the one quality your pet gives that few can replicate, unconditional love. Can you imagine what the world would look like if our hearts’ mirrored our pets’ hearts? Furever Friends Pet Sitting in Houston would love to bond with your pet! Call us today at 713-201-7464. Dr. Brittany King practices small animal medicine with Banfield in Houston where she enjoys everything from a passion for orthopedic surgeries to her pet family relationships. She graduated from St. George’s University School of Veterinary Medicine in 2010. She is an avid believer of combining her athletic passions with giving back to people and pets in need. Some of those avenues have included swimming across the English Channel in a campaign titled the “Laps of Love”, running marathons on 5 of 7 continents, climbing Mt. Kilimanjaro, competing in the full 140.6 mile Ironman triathlon, and founding free sustainable vaccination health fair clinics for the people and animals of Grenada. Dr. Brittany King and Hank. Why hire a dog walking professional in Houston? Dogs need exercise. Period. Most dogs love love LOVE their daily dog walk and depending on the breed and energy level of your dog, they may even need more than one walk a day. Why is it so important to walk your dog you ask? Dog walking has many benefits. First and foremost are the health benefits. Just like people, dogs need to be exercised to stay in shape. It keeps their heart and lungs strong and healthy contributing to a longer life span. It helps them avoid being overweight which can potentially lead to chronic illness such as diabetes. It can also help with their digestive system to prevent constipation. Second is the fact that dogs live their lives through their noses. Getting out and allowing your dog to sniff around his neighborhood is mental stimulation for them; it serves the important purpose of providing relief for an instinctual urge and alleviates boredom for them. A bored dog will often act out by being destructive or behaviorally inappropriate such as barking for attention, digging in the yard or jumping on people. If they have all this energy and nothing to do with it, almost guaranteed there will be an inappropriate behavioral response. And of course walking your dog creates some one-on-one time for the two of you to get closer, allow trust to develop between you and to strengthen your bond. Sounds great to us! If you find your dog(s) acting out chances are they’re not being walked often or long enough. A well walked dog is a happy dog! So, if you are looking for a dog walker in the Inner Loop area in Houston, please call Furever Friends. We’d love to be your go to dog walking company. If you are like us, your pets truly are a part of your family. And when we pet sit for you in Houston, we treat your furry family members like they’re a part of ours! From time to time I’ll explore Craig’s List pet care service postings. I always cringe when I see the inevitable $10 pet sitter ad. Some people feel this is a great option for them, their pets, and their budget. While we appreciate that everyone has a pet sitting budget to stick to, please keep in mind the adage, you get what you pay for. A $10 pet sitter is quite often a part-time or hobby pet sitter. They see it as an opportunity to make a few dollars by showing up, throwing down some food, quick cleaning a litter box and then leaving. What kind of quality care is that for pets? When we go on vacation we’re gone longer than a typical work day, so essentially our pets are left wondering where you went and *when* are you going to be back? A $10 pet sitter isn’t concerned about spending lots of time loving your pet or providing you with exceptional service and care because after gas, wear/tear on the car, and their time, they’re making about $7 an hour if they’re lucky. It’s just a way to make a few extra dollars. Can you rest assured that they will show up for every visit? Will they tell you what they’ve done while they are visiting, or provide you with updates while you’re away? Furever Friends Pet Sitting does both. Will they pay attention to details such as locking the back gate and putting toys away you requested that your pet might chew up? Will they administer any medications on time and in the correct dosage or will they do it when it’s convenient to them? What if they’re having trouble getting your pet to take their medications? Will they just dismiss the medicine, but tell you your pet received it? These are all things to consider when hiring a $10 pet sitter. More importantly, it is highly doubtful your $10 pet sitter is insured! What if something happens to your pets while you’re away? What if they became ill? What if your home/property is damaged in some way by them? Is your $10 pet sitter going to take responsibility for that? Do you have a contract with your $10 pet sitter that spells out all the ways you, your pets and your home are protected? Most probably don’t. It’s a huge risk to hire a non-professional to trust your home and pets too! Even when people hire a friend or family member things can go wrong, but hiring a $10 a visit pet sitter, someone that is most often not a professional and simply doesn’t take what they’re doing seriously, is just not a terribly good idea. You may be saving a few dollars by using them, but what possible ultimate price could you be paying by doing so? A professional pet sitter such as Furever Friends Pet Sitting provides an invaluable service that brings peace of mind and quality care for your beloved furry family. Call us today at 713-201-7464 to experience this service for yourself. Do you have a new puppy that needs a little extra love and attention while you are working all day? As a professional pet sitter in Houston, I can help. Here is an example of a puppy sit I cover Monday through Friday, while the owners are away…. Mia is a German Shepherd puppy that I visit during the week for midday dog walks. As I enter her home, I can hear her moving around in her crate. As I climb the stairs I can hear her whimpering. Then when I enter the room, she starts jumping up in her crate. Mia is so excited to see me, her pet sitter!! It makes me smile. I open her crate door and she runs downstairs. I quickly leash her up and go outside. She heads for the grassy area to pee and after she is done I praise her. “Good girl, Mia!” I tell her. Then, we go for our daily dog walk. She loves it! She is still learning how to walk nicely on a leash, but I enjoy her puppy enthusiasm, and I know she will get better each day as she gets used to our daily dog walking routine. Sometimes we see other dog walkers out enjoying the day, too. Mia gets really excited when she sees other dogs. After our dog walk, we return back inside for her to snack on a treat. I wash out her water bowl and refill it. Then we sit on the floor to play with her toys. Mia wants to play with every single toy at once. We practice her commands; “Drop It”, “Sit”, “Stay”. Mia definitely understands “Drop It” as she lets the toy fall out of her mouth each time I say “Drop It”. Her face is so cute that I kiss her head! We go outside one more time for one more potty break. Now it is time for Mia to relax and get ready to return to her crate. I sit on the floor and pet her. She seems very content. Then I get a small treat so she will follow me back upstairs to her crate. As she enters it, I tell her “Good girl!” I give her the treat as I close the door. Mia lies down to nap until her Mom & Dad return later. As I walk out of the room, I am reminded of what a wonderful job I have as a pet sitter! Playing and care for puppies like Mia! When I tell others the joys of pet sitting, they are intrigued the career I’ve chosen. I love my job in the pet care profession. 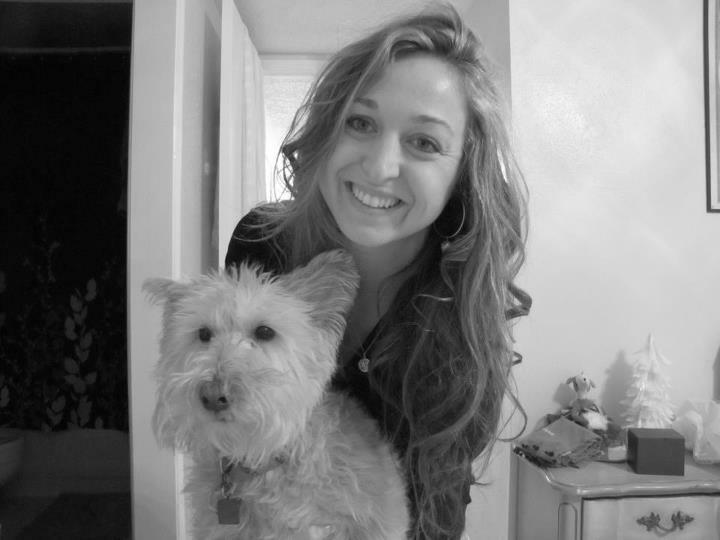 My job entails dog sitting, dog walking, cat sitting, house sitting and overnight pet care. While I have a standard set of pet care services I offer, I also tailor my pet sitting services to meet the needs of individual clients. Proof! Our clients say we are the best pet sitting company in Houston, Texas! Below is an e-mail that I received from one of our customers, Kelly. We provided pet sitting for her two precious cats Azzy & Ty over Christmas. We always follow up with our customer to make sure their furry friends were happy and wagging their tails upon their owners return. Kelly e-mailed us when she returned to let us know how happy she was with our service! We truly appreciate it! It is the ultimate compliment from a customer!